Liston Enterprises are registered with .global as like them we share their belief that the Top-Level Domain .global will become the No. 1 alternative to .com. They believe that ".global will be an important channel and asset for innovative businesses and organisations worldwide, providing them with a new way to communicate their positioning, brands and services." What better way to have your brand recognised globally? The extension to your web address afterall all says who you are .co.uk I', here in the UK, but .global that says we are world wide reaching all corners. Can you afford not to become part of this? We have, click below to see some of our .global domain portfolio. Liston Enterprises has listed The Internet Business School as our preferred partner for Internet marketing, for those looking to understand the more advanced elements of their online journey. Simon Coulson the founder of this company has created a great educational platform to help entrepreneurs build their online success with video, optional workshops and one to one coaching. I have worked closely with the Internet Business School for several months and recommends their services for being professional and consistent in what they deliver. 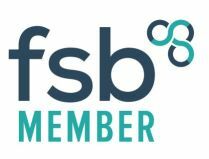 Liston Enterprises has selected FSB as a preferred partner as they have demonstrated fantastic growth and scale-ability over the past 10 years, offering a selection of valuable services within their very affordable membership. Moneypenny offers a professional P.A telephone answering service at a very affordable price. If you are busy in a meeting or treating a client, this service can be a real asset to maintain communications with your customers when you are not available. Go Live employ a team of highly skilled engineers and designers passionate about cybersecurity and the development of a highly engaging and safe online presence for their clients. That's why Go Live UK isn't just any other web design firm. They go to extraordinary lengths to keep their client's data secure and keep their online presence constantly protected using the Cyber Guardian monthly service. Following the latest innovation in this field Go Live UK's team specialize as GDPR experts and providers of GDPR solutions for your business.